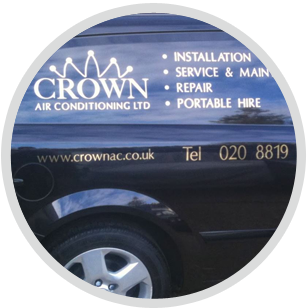 Here at Crown Air Conditioning we are a team of fully qualified, experienced air conditioning and maintenance contractors in Guildford and Farnborough. Our cost effective services are fully flexible and by choosing to work with us, you’ll have the reassurance that your air conditioning system is working properly. 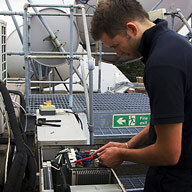 Our team has the expertise to service a wide range of air conditioning and ventilation equipment. Planned Preventative Maintenance offers a range of significant benefits, providing you with reassurance that your system is working efficiently and greatly reducing the possibility of system faults. As reputable air conditioner service contractors in Guildford and Farnborough, our repair and maintenance services are available to all clients, regardless of whether we installed your system. We offer a range of flexible servicing contracts offering a range of benefits including reduced labour charges and guaranteed response times. 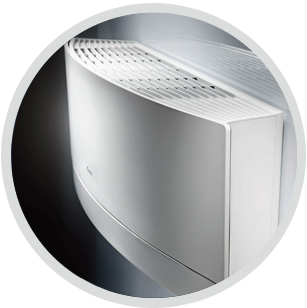 We understand that installing an air conditioner system represents a significant investment. We know how important it is to our clients that their systems are serviced with care and here at Crown Air Conditioning are team are fully qualified and highly experienced. Servicing and maintenance contracts are carried out using a checklist to ensure no areas are overlooked, providing you with peace of mind that your system is in safe and experienced hands. We take great pride in installing industry leading air conditioning and ventilation systems, with products made by highly regarded brands including Panasonic, Daikin, Fujitsu, Toshiba, LG and Mitsubishi Electric. We work with our clients to find the most suitable system for them, designed to provide efficient cooling and heating at a cost effective price. If you don’t need a full-time system we also offer a portable system hire service, designed to provide complete flexibility and the benefits of air conditioning when you need it most. 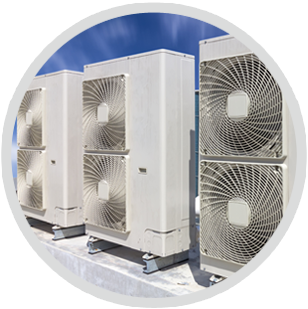 We are leading air conditioner service and maintenance contractors in Guildford and Farnborough, with many years of expertise in providing high quality, flexible services. If you would like to find out more, please don’t hesitate to get in touch using the contact form on our website, or call us on 01737 668310 to arrange for a free, no-obligation quotation.